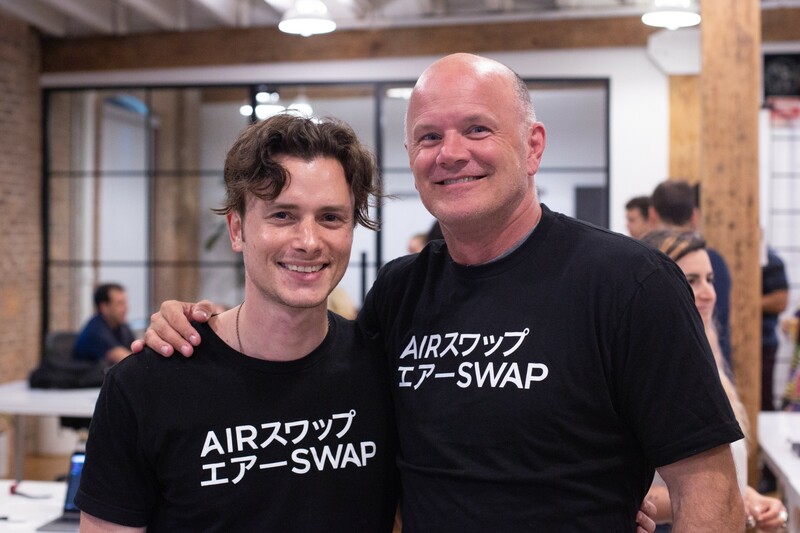 Team AirSwap welcomed friends, customers, and partners to our offices for updates on the Widget, Toolkit, and a new OTC product including a trading demo with Michael Novogratz. 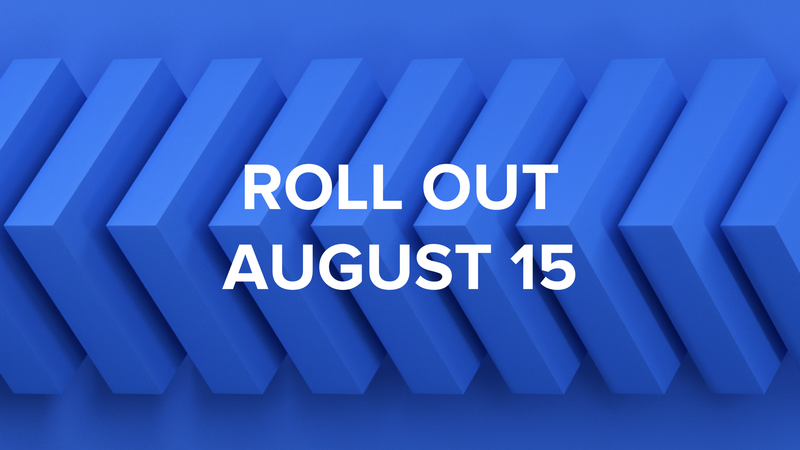 Mainnet rollout is beginning August 15th. We recently hosted a select group of thought leaders at the intersection of technology and finance in our Brooklyn loft space to catalyze conversation around the future of blockchain, introduce new AirSwap trading tools, and set a new path forward. We organized the evening, which attracted a standing-room only crowd, to create an open channel with our community, celebrate our success, and look to what’s ahead. It’s been a year since we announced the AirSwap project last August, and since then, we’ve hit each date we set and each milestone outlined in our initial roadmap — launching the AirSwap Token on October 10th, and introducing the Token Trader, Token Marketplace, and Partner Network. This event was an opportunity to look at how we’ve gotten to where we are today and to look to the future. AirSwap advisor, legendary VC, and blockchain enthusiast Bill “Yoda” Tai (who was an engaging master-of-ceremonies at the Fluidity Summit in May) opened the evening with a brief primer on trade. It has long “been a surprisingly high-friction” process, he explained. With the introduction of the blockchain and smart contracts, the nature of value exchange is transforming in ways that were previously unimaginable. AirSwap is playing an integral role in the evolution to frictionless trade, enabling decentralized peer-to-peer value exchange, discoverable by search. Since the release of our whitepaper in May 2017, much has changed in the world of blockchain. Countless new tokens have been launched, and along with them, hundreds of new projects tackling an incredibly wide variety of decentralized applications. This dramatic shift — propelled by technologists, economists and leading innovators in every industry — has also won over skeptics and thought leaders. Following Bill, AirSwap business development lead Maggie Hsu revealed our progress toward this frictionless future. She presented the AirSwap Widget, enabling seamless in-app token purchases. While centralized exchanges operate with order books, AirSwap takes an entirely different, wallet-to-wallet approach. The widget is a three-click trade flow that is embeddable on any website and portable on any device. It’s compatible with all major wallets. Over 16 dapps have added the widget , and over 60 tokens are traded on the AirSwap network today. Maggie then introduced a brand new feature for the widget: the ability for apps to optionally set their own fees in an asset of their choice. This fee requirement is communicated to makers, who then create orders that, when filled, transfer the amount to a wallet address provided by the app. AirSwap never takes fees of any kind, but for apps that would like to, this is a powerful feature. On the other side of those trades, this gives makers access to new audiences and trade flow through top decentralized applications across the web. Prior to joining AirSwap, Maggie was an advisor to Zappos CEO Tony Hsieh, known for his high-profile experiments with a decentralized organizational model created by early Ethereum investor and HolacracyOne founder Brian Robertson. The applications of the blockchain extend far and wide beyond finance and into every sphere, something that AirSwap backer and Ethereum pioneer ConsenSys is firmly anchored in, investing in projects around the world that will fundamentally change societal infrastructure. Maggie then invited to the stage AirSwap widget integration partner Civil, also part of the ConsenSys network. CEO Matthew Iles introduced his decentralized marketplace for sustainable journalism, which is launching its consumer token CVL in September. Civil was founded to address the current crisis in the media industry, which has become reliant on advertising platforms Google and Facebook. Civil will enable thoughtful citizens to support more ethical journalism and support a new code of conduct industrywide. Civil is implementing the AirSwap widget on its platform and across its newsroom network for quick and safe CVL token purchases. AirSwap is excited to partner with Civil and support its mission of bringing truth and sustainability to journalism. If you are interested in partnering with AirSwap, reach out to us at team@airswap.io. Following the widget update, guests were given a tour of the developer side of the equation, led by AirSwap engineers Mykola Smith and Graham Perich. Mykola shared our engineering principles that attract developers worldwide to build software to participate on the AirSwap network. Graham explained that the code required to add the AirSwap Widget is very simple. He provided the example of Augur, a decentralized prediction market that runs on Ethereum and also integrated the widget. AirSwap for Developers launched in May and has found a focus to enable traders with minimal programming experience to build trading strategies for AirSwap. In the past few months, our community of passionate developers has built volume trackers, custom trading interfaces, desktop applications, among other tools, using the AirSwap API Server. Read more about AirSwap for Developers in our ongoing developer series and join our growing community on Telegram at t.me/airswapdevs. Among the programmers in the AirSwap community is Dominique Dressen, who joined us from Germany to discuss his experience building on AirSwap. Dominique, also known as Domi, a physicist who is completing his PhD in chemistry, has built several projects on his own and also collaborated on projects with other community members. Wouldn’t it be cool to have a conversation, he asked. 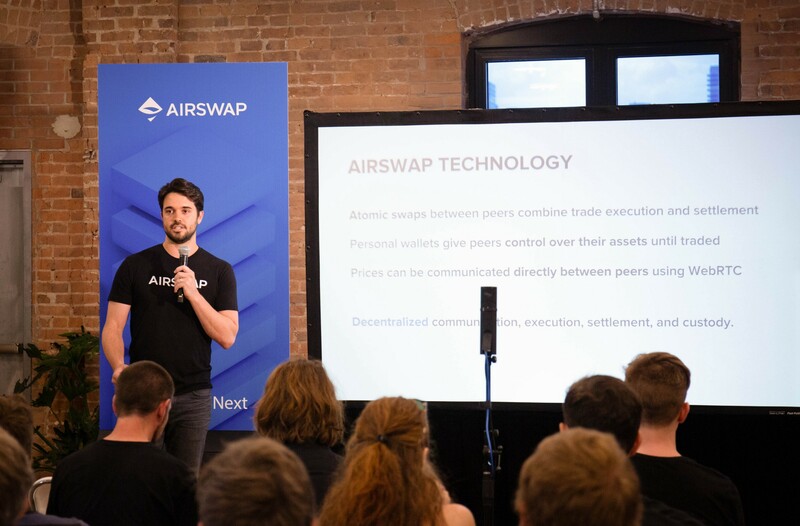 This prompted him to build AirSwap Chat, taking advantage of the AirSwap messaging system to enable individuals to make person-to-person trades. He’s also worked on a project called SwapWatch with fellow community member Evolve, which gives an analytical view into the activity on the AirSwap network. Domi has also created a desktop application that runs an AirSwap Maker, enabling people to participate in the network and set prices on trades. Be sure to check out Domi’s work on GitHub at https://github.com/DomiDre. Following Domi, AirSwap engineer and first employee Deepa Sathaye took the stage to discuss upgrades to the Swap Protocol. We’re introducing efficiency improvements for both makers and takers, decreasing the number of operations to fill and cancel trades, enabling batch canceling, and storing and emitting less data overall. Deepa handed off the discussion to AirSwap co-founder Don Mosites to introduce our new conversational “over-the-counter” (OTC) trading product. “We saw that around 40 percent of crypto volume worldwide was being traded OTC,” Don explained, noting that there was a significant opportunity to improve efficiency, security, and overall trading experience. For these kinds of trades, we can turn weeks into minutes and hours into seconds. This creates a whole new pool of qualified traders and unlocks a new kind of liquidity. Negotiating OTC trades, often done over Skype or other messaging platforms, is time consuming and involves a complicated process in which on-boarding new clients can take weeks and settling trades take days. AirSwap is circumventing that friction with conversational trading built on Ethereum. Takers can now broadcast RFQs (“requests for quotes”) to an entire network, where these requests land on the desks of makers who have opted into receiving RFQs for those assets. During that time, you can have conversations with multiple peers before settlement. 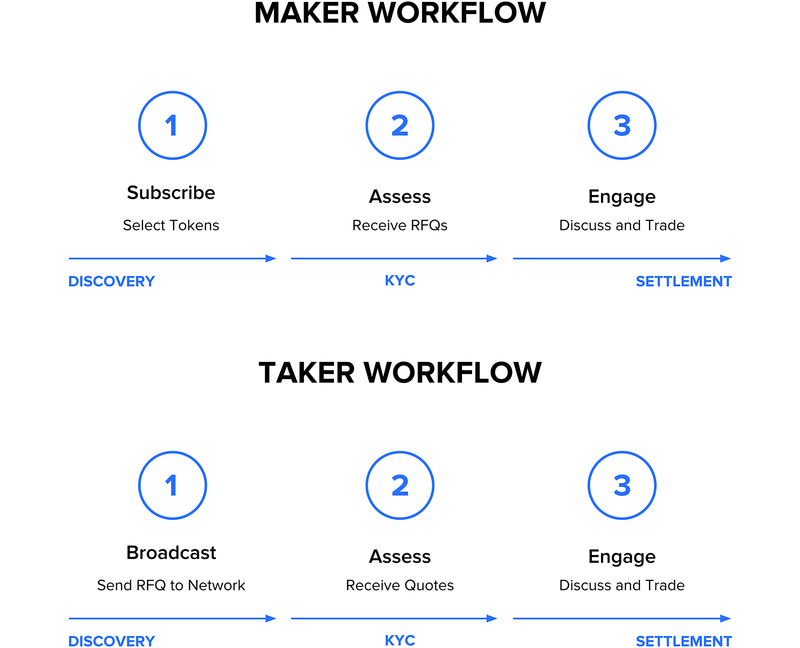 On the maker side, the new discovery process allows you to subscribe to the token you are interested in trading and selectively respond to RFQs. These two sides of discovery enable a fast, secure, and enjoyable trading process. A key aspect of over-the-counter trading involves streamlining KYC and AML processes. To that end, Don introduced our partnership with blockchain payments platform Wyre. CEO Mike Dunworth gave an energizing talk about engaging with the compliance and regulatory aspects of trade so that other teams can focus on developing their projects. Mike acknowledged that because of the uncertain future of cryptocurrency regulation in the US and abroad, many teams innovating in the realm of blockchain technology are “sleeping with one eye open” at night. Wyre’s mission is to alleviate that burden: “Compliance is the worst stuff to do, the most boring,” he said, “but the most important.” Wyre’s product allows teams to tap institutional-grade liquidity with one API and allows for compliant access with BTC, ETH and ERC20 tokens. We are excited to be partnering with Wyre to enable more efficient payments processing for our users. You can get in touch with Wyre at trading@sendwyre.com or direct from their intercom button on their website. To wrap up the AirSwap portion of the evening, Maxime Bucaille — who previously worked as a foreign exchange trader at BNP Paribas — led a demo of our new conversational trading product. With our streamlined KYC and AML processes, discovery and onboarding is easy, and settlement is quick and without counterparty risk. AirSwap co-founder Michael Oved joined Maxime in leading the demo at the front of our offices. Attendees observed a conversational trade happen in real time between Oved and Maxime. The two communicated via our messaging frontend, which displays a pop-up icon once a RFQ is broadcast to the network. When a maker initiates a conversation with a taker, messaging between the maker and taker immediately switches to a private conversation. It’s a highly intuitive and transparent process. After the demo Maxime invited AirSwap shareholder and advisor Mike “Novo” Novogratz to take his chair and initiate a trade with Oved. Within seconds, Novo was up to speed and the two were trading ETH and DAI, their conversations and settlements broadcast live before the audience. Event attendees were invited to experiment with the new trading features displayed on laptops around the room. Guests mingled and hovered in groups around the laptop screens to try out the AirSwap platform. “Everybody today is very familiar with super low friction, easy ways to communicate to groups or individuals,” Bill observed earlier, “and now you’re going to see the ability to exchange value built into a system where there’s real time communication and distribution really everywhere to anyone that’s interested in trading.” At AirSwap, attendees witnessed that future firsthand. The new conversational OTC trading product will begin mainnet rollout on August 15th, be sure to add yourself to the waitlist at https://next.airswap.io/ to be notified when ready. The AirSwap team wrapped the night with an update on our real-world asset tokenization efforts through Fluidity. In the coming weeks we’ll publish our roadmap details and how Fluidity and AirSwap are working together to tokenize the world.